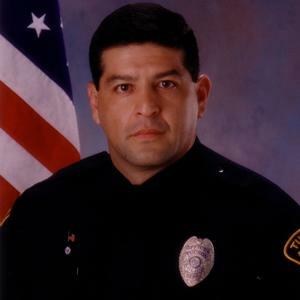 Tucson Police Department officer Martin H. Escobar, a 15-year veteran, has filed a federal lawsuit challenging SB 1070, Arizona's new immigration law. A Tucson police officer has filed a federal lawsuit challenging Arizona's new immigration law, claiming the legislation will hinder police investigations in Hispanic-prevalent areas. The suit, filed Thursday in U.S. District Court in Tucson by Officer Martin H. Escobar, also claims SB 1070 would make police focus more on immigration than helping people in need. "What are we saying to the undocumented who are victims of crimes, what are we saying to the undocumented who are critical witnesses to crimes?" said Escobar's attorney, Richard Martinez. The suit also claims the new law, which Gov. Jan Brewer signed on April 23, violates several constitutional rights and also violates federal law because the Tucson Police Department and the city have no authority to perform immigration duties. Escobar, 45, a 15-year veteran of TPD, noted in the lawsuit his experience patrolling the Hispanic-heavy Operations Division South indicates there's no racially neutral criteria that can be used by officers to determine whether a person is in the country illegally. "Hey, there's a lot of people lawfully who speak Spanish; there's a lot of people who speak with an accent," Martinez said. "Those tell you that they're Latino or Hispanic or Mexican, but they don't tell you anything about their document status." Any attempt to confirm immigration status when making contact with the public would "seriously impede law enforcement investigations and facilitate the successful commission of crimes in the United States," the suit claims. Martinez noted that when police are called to an incident at a school, such as for a report of abuse or neglect, children who are in the country illegally would then need to have their immigration status checked despite federal protection from such queries by school officials. And situations where a person was the victim of the crime or had witnessed a crime would put the officer's focus more on immigration than the crime itself if the officer had reason to believe a person was undocumented. "This doesn't help law enforcement, it hurts them," Martinez said. "Police officers always exercise discretion, but this statute takes away discretion." Martinez said officers who attempt to get around SB 1070 could face department discipline, loss of state peace officer certification and even the possibility of lawsuits by members of the public if, for instance, a person requested police check someone's immigration status and the officer didn't do so. Escobar's suit asks for police to be prevented from having to comply with SB 1070, leaving immigration duties to federal law enforcement, and to prevent state legislators from enacting any other laws dealing with immigration. Police Chief Roberto Villaseñor was out of town and unavailable for comment, but department spokesman Sgt. Fabian Pacheco said TPD's policy prevents comment on pending litigation. Escobar's suit was not filed on behalf of TPD and doesn't necessarily reflect the department's views or opinions, Pacheco said, noting TPD's internal affairs office received numerous calls and emails complaining about the litigation. Here's what politicians, bloggers and others are saying about Arizona's SB 1070 immigration law.